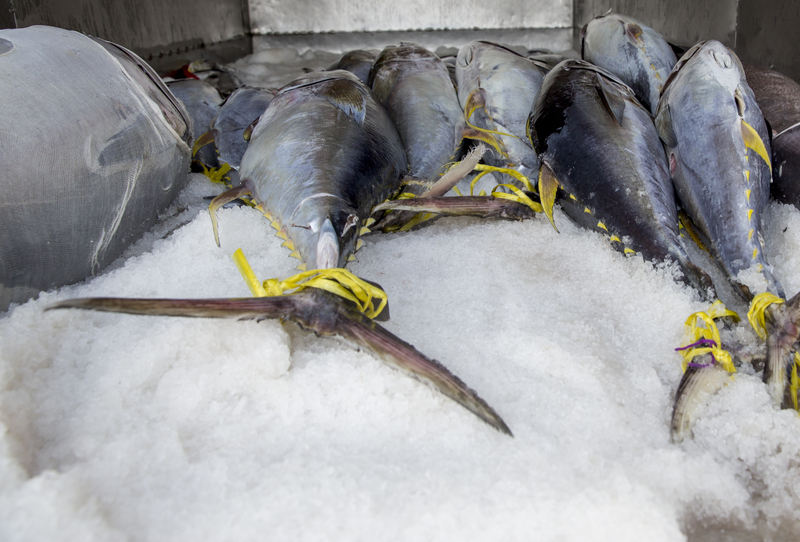 For the global tuna industry, which has historically struggled with illegal and environmentally dubious fishing practices, the use of blockchain could be a turning point. The aim is to help stop illegal, unreported and unregulated fishing and human rights abuses in the tuna industry. These have included reports of corruption, illegal trafficking and human slavery on tuna fishing boats. and accessible to actors all along the supply chain. Blockchain technology is rapidly evolving beyond Bitcoin. Emerging applications are geared to improve business in many ways – including supply-chain transparency for all kinds of products. A blockchain is a digital ledger that is distributed, decentralised, verifiable and irreversible. It can be used to record transactions of almost anything of value. Essentially, it is a shared (not copied) database that everyone in the network can see and update. This system provides multiple benefits for supply chains, including high levels of transparency. This is because everyone in the network can see and verify the ledger, and no individual can alter or delete the history of transactions. For consumers, this means you will be able to scan a code on an item you want to buy and find out exactly where it has been before landing in your hands. It will be easy to answer those tricky questions about whether or not an item – such as a fish – is sustainable, ethical or legal. 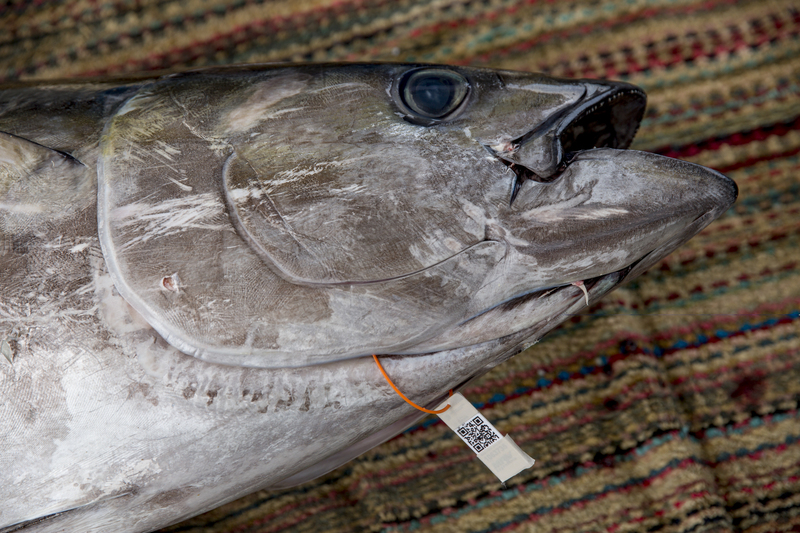 As seen here, once the tuna is caught, a reusable tag is attached, from which information is then automatically uploaded to blockchain. The WWF pilot project will use a combination of radio-frequency identification (RFID) tags, quick response (QR) code tags and scanning devices to collect information about the journey of a tuna at various points along the supply chain. While this use of technology is not new for supply-chain tracking, the exciting part is that the collected information will then be recorded using blockchain technology. Tracking will start as soon as the tuna is caught. Once a fish is landed, it will be attached with a reusable RFID tag on the vessel. Devices fitted on the vessel, at the dock and in the processing factory will then detect the tags and automatically upload information to the blockchain. Once the fish has been processed, the reusable RFID tag will be switched for a cheaper QR code tag, which will be attached to the product packaging. The unique QR code will be linked to the blockchain record associated with the particular fish and its original RFID tag. The QR code tag will be used to trace the rest of the journey of the fish to the consumer. At the moment, linking tags is not difficult because the project is focusing on whole round exports – that is, the whole fresh fish minus head, gills and guts. It gets a little more complicated when the fish is cut up into loins, steaks, cubes and cans, but the project team is now able to link the QR code tags on the packages of the processed fish with the record of the original fish on the blockchain. While it may be possible to use RFID tags throughout the whole process, the expense of these tags could prohibit smaller operators in the fishing industry from participating in the scheme if it expands. There is also potential to use near field communicator (NFC) devices to track the fish all the way to the consumer in the future. Marine Stewardship Council-certified yellowfin tuna processed at SeaQuest processing plant at Walu Bay, Suva, Fiji, December 2017. While this use of the blockchain is the first of its kind for the Pacific Islands region, it is not a world first. 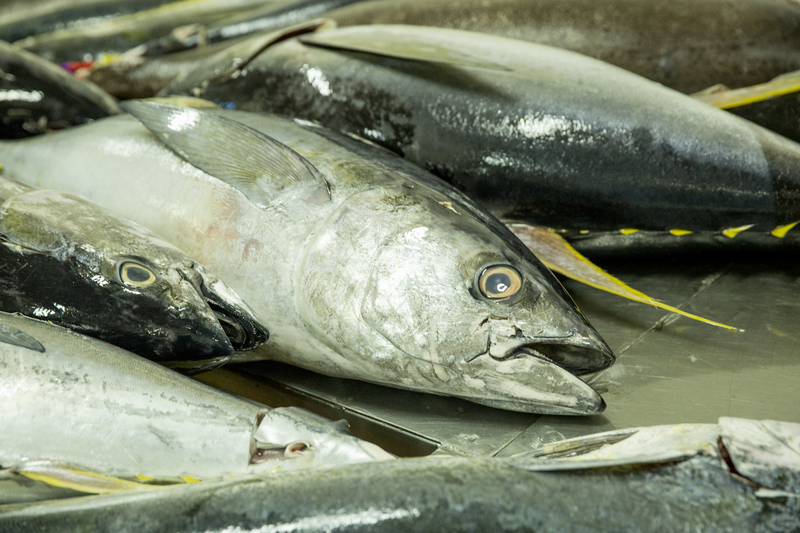 A company called Provenence and the International Pole and Line Association (IPLA) has already completed a successful pilot project tracing products from Indonesian tuna fisheries to consumers in the UK. 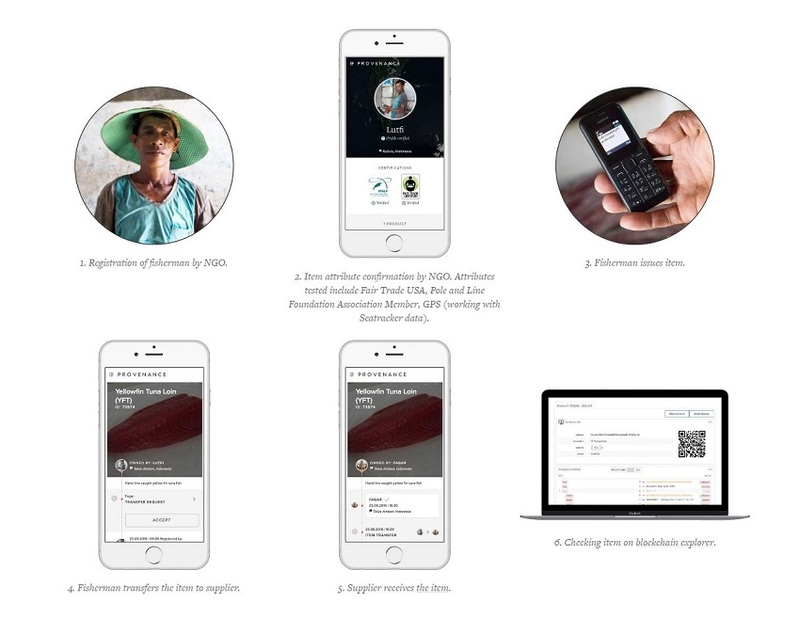 Provenance is also working on using blockchain to track a range of other physical things – including cotton, fashion, coffee and organically farmed food products. However, the potential of blockchain goes further. For example, Kodak recently launched its own cryptocurrency to help photographers track and protect their digital intellectual property. Blockchain technology is just starting to change the way business is done. If it delivers on its promise of supply-chain transparency, it will be a great tool to help ensure that industries – including the tuna industry – are doing the right thing. This will give consumers more information on which to base their purchasing decisions. For the global tuna industry, which has historically struggled with illegal and environmentally dubious fishing practices, this could be a turning point as visionary fishing companies demonstrate true stewardship and begin to open up the industry to full transparency. It is true that Blockchain is evolving beyond Bitcoin. The blockchain technology has helped in maintaining the sustainability and preventing frauds in Seafood Industry to a great extent. One such example of Seafood Traceability is Fishcoin.